A great big thanks to all the folks who joined us for AERMOD training in Austin last month. You guys rock! New AERSURFACE – On February 21, 2019, EPA released the new, draft version of AERSURFACE, called 19039_DRFT. This new draft has been released for public review and testing. 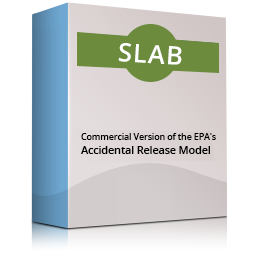 After the informal comment period, EPA will incorporate the public feedback and release an updated version of AERSURFACE for regulatory applications. The EPA would appreciate written informal comments no later than Monday, April 22, 2019. EPA will be conducting a webinar on 19039_DRFT on April 4, 2019 at 2 pm EDT. Click here to register for the webinar. For more information on 19039_DRFT, go to https://www.epa.gov/scram/draft-aersurface. There, you will find source code, executables, a user’s guide and other documentation. Upon release of the final, updated version of AERSURFACE, we will incorporate it into BEEST and AERMOD Wizard as soon as possible! 12th Conference on Air Quality Models – EPA has tentatively scheduled the 12th Conference on Air Quality Models for October 1‑3, 2019 in Research Triangle Park, NC. This triennial Clean Air Act-mandated conference will provide the opportunity for public input to EPA’s ongoing model and modeling guidance development. Keep watching SCRAM (www.epa.gov/scram) for updates. As we mentioned in December, EPA has come up with a workaround regarding obtaining land cover data and NED data in GeoTIFF format. See https://www.epa.gov/scram/interim-access-and-process-use-1992-nlcd-and-ned. We presented a webinar on this back on January 31. Click here to see the video for the webinar. *AND* when BEEST 11.14 comes out, it will include a new tool that will allow you to convert the ArcGrid-formatted data to GeoTIFF in a seamless, painless manner! **HOT** AWMA Specialty Conference – “Guideline on Air Quality Models: Planning Ahead” – AWMA’s next modeling specialty conference is almost here. This one has been dubbed The Guideline on Air Quality Models: Planning Ahead and will be March 19‑21, 2019 in Durham, NC at the Marriott at Research Triangle Park. For more information go to https://www.awma.org/aqmodels. Providence is a sponsor of this conference, and we hope to see you there, too! **HOT** AWMA ACE 2019 – The 112th AWMA Annual Conference and Exhibition (ACE) will be held in Quebec City, Quebec, Canada June 25‑28, 2019. This year’s theme is “Winds of Change – Environment, Energy, and Health.” General conference information can be found at https://www.awma.org/ace2019. **HOT** Carolinas Air Pollutions Control Association Spring Technical Conference and Forum – The 2019 CAPCA spring technical conference and forum is set for April 10‑12, 2019 at the Omni Grove Park Inn in Asheville, NC. 2019 marks the 50th anniversary of the founding of CAPCA, so make plans to attend this premier event. Click here for more information. **HOT** TCEQ 2019 Environmental Trade Fair and Conference – The 2019 edition of the Texas Commission on Environmental Quality (TCEQ) Environmental Trade Fair and Conference will be held May 14‑15, 2019 at the Austin Convention Center in Austin, TX. This annual event offers the opportunity to learn the latest and greatest related to environmental regulation in Texas. Providence will be there as an exhibitor, so look for us at booth 314 in the Exhibit Hall. For more information about the conference, go to https://www.tceq.texas.gov/p2/events/etfc/etf.html. If your company, organization, agency, State, etc. has an upcoming modeling or air quality-related event and you’d like it publicized in Providence/Oris Notes, please send that information to us at info@providenceoris.com, and we’ll be happy to include it. *AND* BEEST 11.13 includes our new Lidar Calculator, a tool that helps you obtain heights for buildings and tanks based on airborne downward-looking Lidar data. We did a webinar back on January 29 that presented both the new features found in BEEST 11.13 *plus* a demo of our new Lidar Calculator. Click here to view the video for the webinar. As always, users in maintenance can download the most recent version of BEEST from Support → Software Updates. “Go BEEST Mode!” — What? 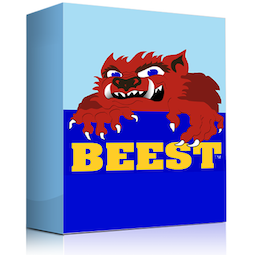 You still don’t have your own “Go BEEST Mode” t-shirt? Don’t worry, we’ve got plenty left – so email your request to info@providenceoris.com and receive your very own “Go BEEST Mode” T-shirt! You’ll be the envy of modelers everywhere! 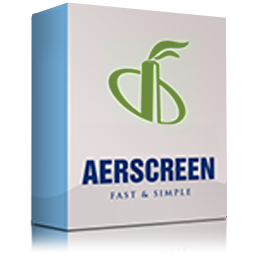 Users in maintenance can download the most recent version of AerScreen for Windows from Support → Software Updates. 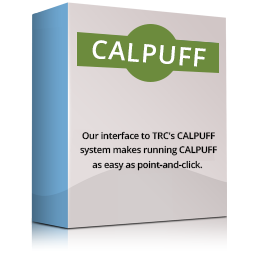 Users in maintenance can download the most recent version of Professional CalPuff from Support → Software Updates. AERMOD Wizard 1.00 is here! We think that this handy tool will be a game changer and so will you! Imagine being able to download ambient data and creating a temporally varying AERMOD-ready background file with just a few clicks! Or what about being able to do multiple Q/D analyses with just a few clicks? Or building wind roses and/or pollutant roses and be able to export them to Google Earth – also with just a few clicks? 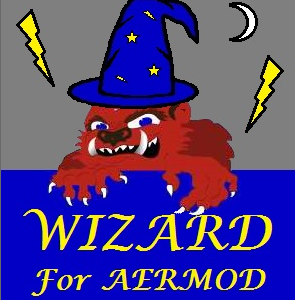 That’s not all this amazing tool can do, so go here to get your own copy of AERMOD Wizard. We presented our AERMOD Wizard kick-off webinar back on February 5. We demonstrated all the current features of this awesome new utility. If you missed it, click here to view the video for the webinar. BEEST has several useful features related to building-downwash. The first is BEEST’s ability to display each building’s Good Engineering Practice (GEP) 5*L zone and its direction-specific Structure Influence Zone (SIZ). The SIZ is defined as a rectangle about the building that extends 5*L downwind of the building, 2*L upwind of the building, and ½*L to either side (crosswind of the building). BEEST can create and plot these before you run BPIP-PRIME. To do this, go to Show Current Data Graphically in BEEST. On the toolbar of buttons to the left, go to the second row down, second button from the right (“Show GEP5L”), and click the button. Then, on your Show Current Data Graphically display, place your cursor over the anchor point of your building of interest, and right-click. Select “Show GEP5L and SIZ” on the pop-up menu. BEEST will then generate that building’s GEP5L area around it (hatched) as well as the SIZ for a wind direction of 10 degrees (solid lines). If you press the left or right arrow keys on the keyboard, BEEST will advance the wind direction 10 degrees counterclockwise or clockwise, respectively. For multiple-tiered buildings, BEEST draws the GEP5L and SIZ for each of the tiers. A second handy tool within BEEST is the ability to create sloped roof structures, such as gabled roofs or shed-type roofs. To do this, go to Show Current Data Graphically and click the “Add Building” button on the left-hand side (second row from the bottom, second button from the left) and draw in a 4-sided building (it can only be 4-sided, but doesn’t have to be an exact rectangle or square). After the building has been drawn in, the “Add Building” pop-up appears, and you enter a building name and height. Instead of clicking Done, click “Create Sloped Roof”. A pop-up labeled “Create Building Roof” appears. You then tell BEEST to create either a gabled roof or shed-style roof. The height that you initially entered in “Add Building” is the base or lower part of the sloped roof, so you must then tell BEEST how high the apex of the roof is to be. BEEST creates a series of tiers to simulate the gable or shed roof and you may use up to 14 tiers (going from base to apex). You tell BEEST which side(s) of the building are lowest (base of roof) – 2 sides for gable roof, 1 side for shed roof. Then click “Create Roof” and BEEST will generate your gable roof or shed roof for you. You can even click the “3-D View” button to see your new sloped-roof building in 3-D! Our next scheduled AERMOD Modeling for Permits class for 2019 will be April 23‑24 in Austin, Texas. Register today and plan to join us in the Live Music Capital of the World! Click here to register! Similarly, our next scheduled Advanced AERMOD class for 2019 is going to be April 25‑26, also in Austin. To date, BeestXpress has processed over 300,000 AERMOD runs. Wow! Do you need AERMOD-ready or CalPuff-ready meteorological data? If so, we can help! Whether it’s running the AERMET / AERMINUTE system or a full CalMet run, Providence has the background, know-how, and experience to have your data processed and ready for you ASAP. Need on-site data processed? We do that, too! If you’d like more information, contact us at info@providenceoris.com or jamesred@providenceeng.com. One thing that we’re very proud of is the depth and range of our modeling experience and expertise. 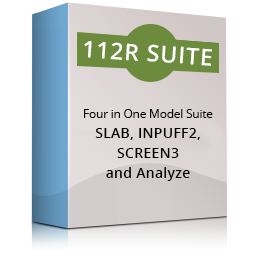 The kinds of air quality models we’ve used include all types, ranging from simple screening tools like SCREEN3 and AERSCREEN to plume models like ISC and AERMOD to CalPuff to CAMx. The types of analyses included basic Significant Impact Level, NAAQS, PSD increment consumption, Class I analyses, air toxics, and SIP attainment demonstrations. Most recently, we have begun conducting nonattainment permit inter-pollutant trading (NOx for VOC) modeling using CAMx. So, we’ve seen it all. To that end, should you or your clients need additional modeling assistance or just a second set of eyes to QA or peer review your modeling (ranging from initial protocol up to final submission), we stand ready to help. Feel free to contact us at (512) 258-8855 or info@providenceoris.com. Our complete class schedule can be found at www.providenceoris.com.